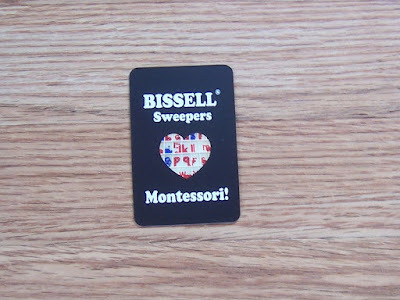 Montessori Sweeping with a Twist: the Bissell Sweeper and a Montessori Mom's Opinion! When my son eats a bowel of crackers, the crumbs on the floor can feed our backyard birds for a week! Usually, though, our dog Misty will trot over and lick them up. Yuck! We have tried, in the past, to show and or help our son sweep up his floor crumbs, but because of either his age or his developmental delays, he just couldn't do it and got frustrated. A few years ago I bought a plug-in Dustbuster. It worked, for a while, then it died. Also, it was very loud. But most importantly, my son could not turn it on and off independently! The button was just too hard for him. 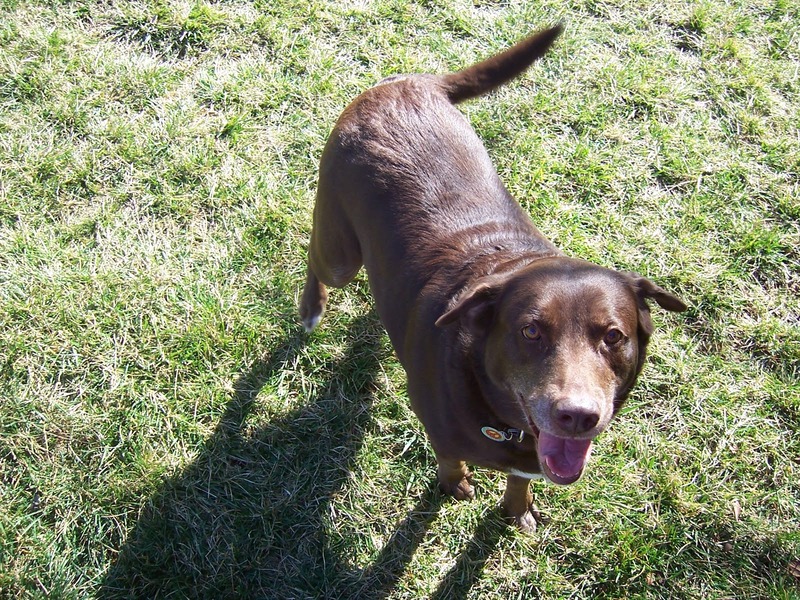 Alas, it was up to Misty (or mom or dad) to clean up the mess. Until now! 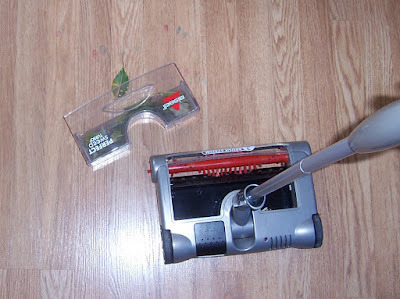 OK, let me back up, I read a great blog post at one of my favorite sites by Melissa, Chasing Cheerios, about her newly attained electric sweeper. After commenting on what a great idea and how it would benefit my son to sweep up after a meal, I was contacted by a representative who offered to send me the sweeper and I would then write a review. Of course I said yes! "Children will learn to love and respect their environment as they learn to work within it. A different relationship occurs when one works with or interacts with someone or something. 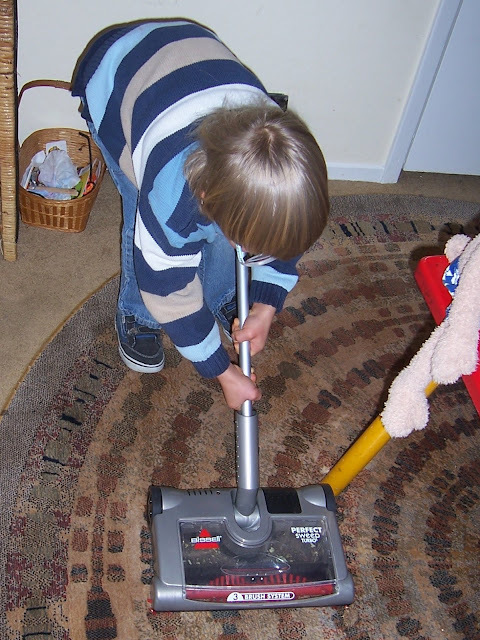 As the child works to imitate his peers or adults in his environment he also learns coordination of motion, such as when scrubbing and polishing. 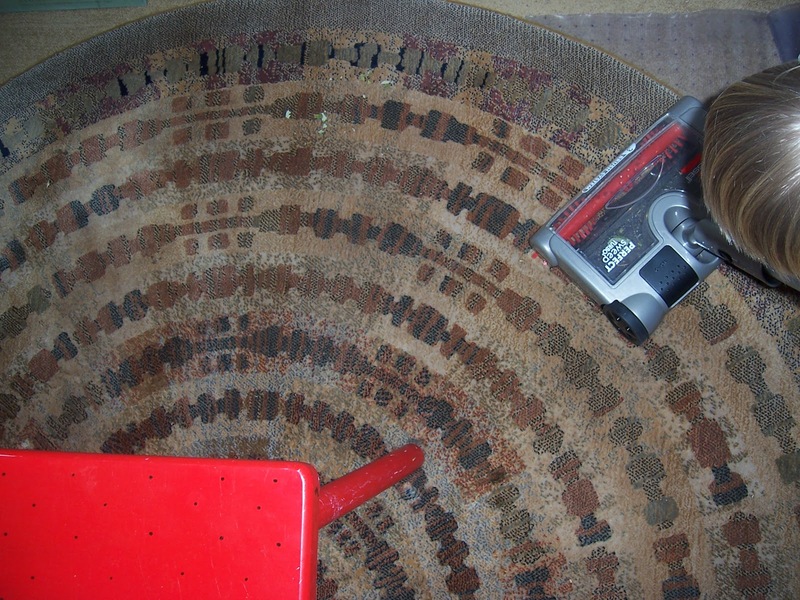 These involve large motor movements, which are very therapeutic. They give feelings of accomplishment." --Ursula Thrush, Cosmic Education. 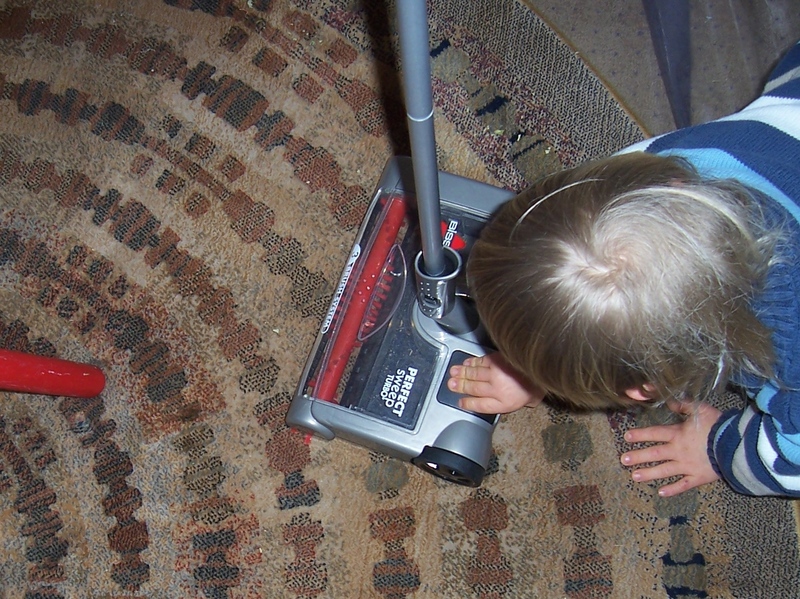 The second most important element was how easy it was for my son to turn it on! (The designers of this sweeper must have had toddlers in mind when they got to the on-off button!) All my son has to do is place his hand on the black-bumpy button and push! 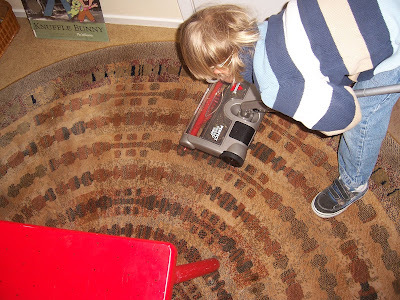 Something he could NEVER do with the deceased Dustbuster! But before I could turn around my son was off and sweeping! With no help from mom! He was very excited at this new ability to sweep his own rug independently, without any help, including Misty's lapping tongue! 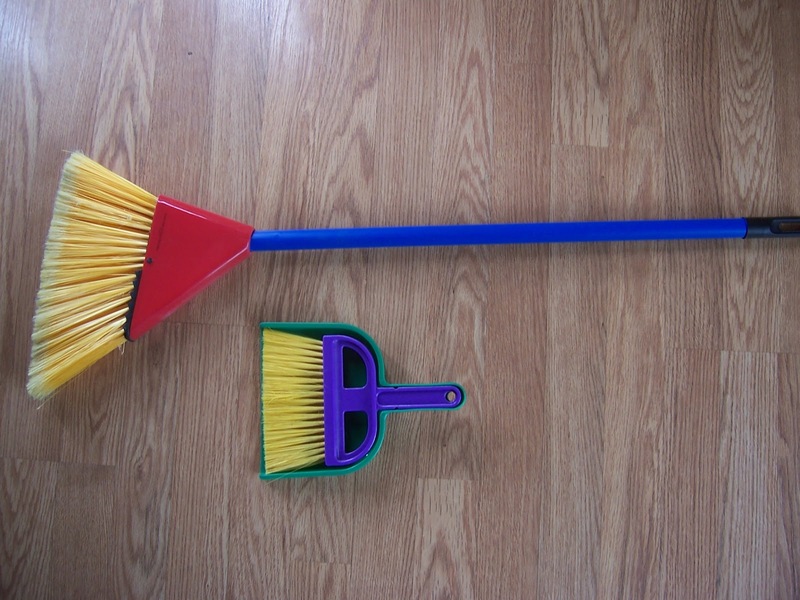 So he swept up his entire bedroom! Did I mention the fact that mom (that's me) now uses it too! 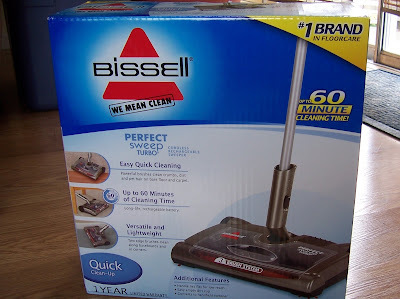 The Bissell Sweeper does a great job of sweeping our floors and rugs! 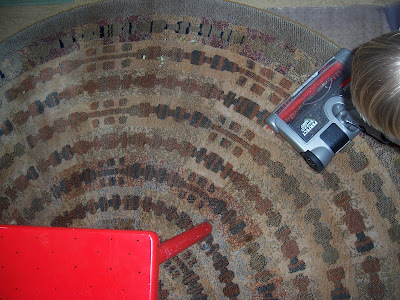 When it came time a few days later, to empty the sweeper, it was very easy. All I had to do was pull out the plastic container and empty it in the compost or trash can. 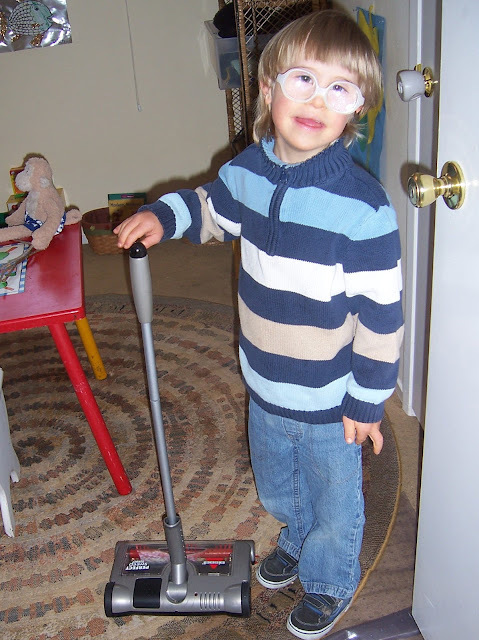 So the idea of receiving a sweeper that my son could successfully use to sweep the floor was huge! 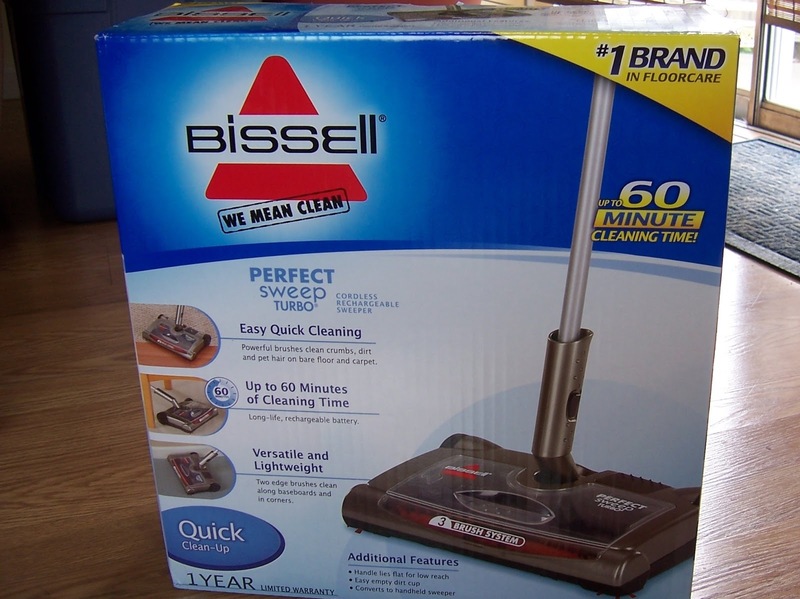 And if you have a toddler or young preschooler, or a special needs child, consider getting the Bissell Sweeper! 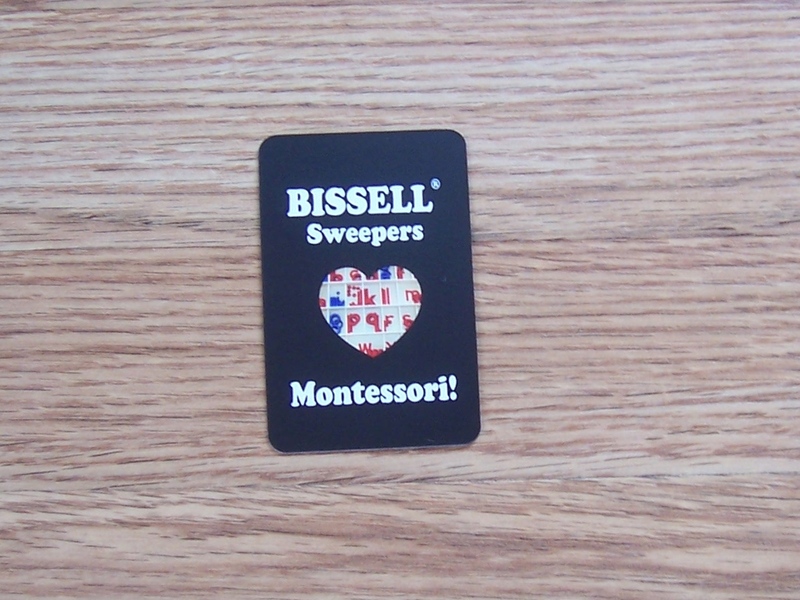 The Bissell Sweeper: Montessori-friendly and mom approved! Disclaimer: My review was based on real-life use of the product in order to pass information on to other parents (and educators) when making decisions on what materials to buy. This was not a paid review.